Customize the fields and data that you keep. Need a 'How Tall' field for your projects, just create it! We feel your company's project legacy should an organized, living archive of information that your whole company has access when and where they need it. It should not be tied to any single project management system or wedged into your content management of your current website. Project Presenter, and your data, is secure and reliable, but you also have all the tools you need to export your projects with full resolution images anytime you want it. When it came time to update our website, it was faster, easier, and cheeper because our project showcase data could just be unplugged and replugged into the new website with a clean fresh design! Secure, backed up, & ready when you need it. 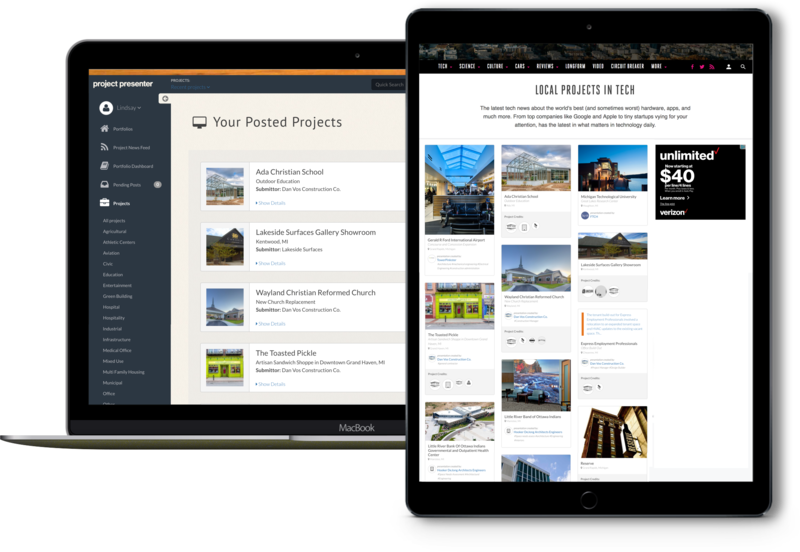 A system that brings digital content marketing and an organized project archive together. 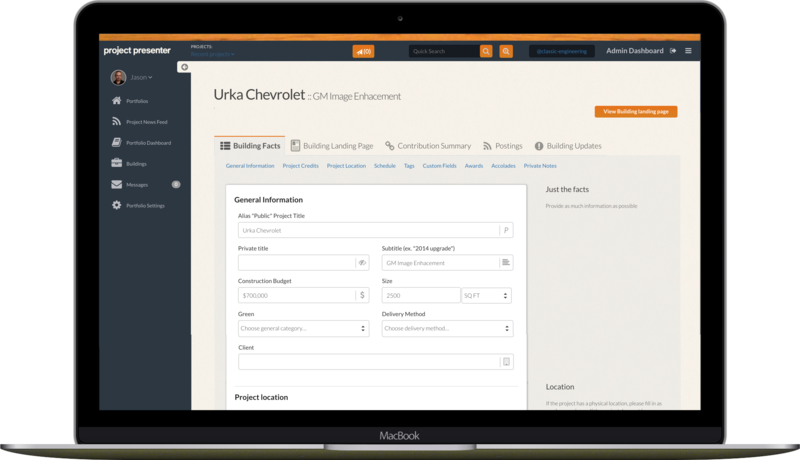 For service companies where your project experience is key to opening new doors and gaining new work, we designed this system for you to minimize your effort and maximumize its effectiveness. Scaleable pricing that can grow with you.